First Lady Melania Trump’s C-32 aircraft was forced to return to Andrews Air Force Base, Maryland, shortly after takeoff Wednesday because the cabin filled with smoke, the Air Force said. The first lady was on her way to Philadelphia to visit a hospital when just minutes after takeoff from Andrews there was “a thin haze of smoke” and reporters traveling with Trump could “smell something burning. The smell quickly became stronger,” according to a pool reporter who was traveling with the first lady. The Air Force said in a statement that “the source of the smoke was isolated to the front of the aircraft and originated from communication equipment which was shut down after the occurrence." 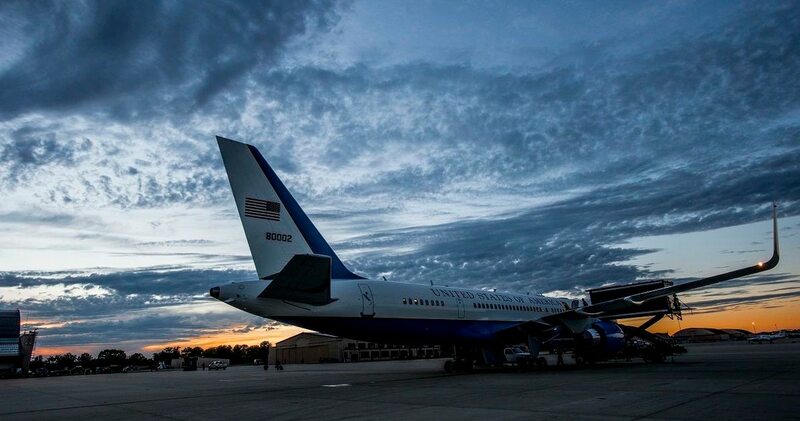 The C-32, which is similar to the 757, is part of the presidential fleet and is often called “Air Force Two,” as it is used by Vice President Mike Pence. It also is used by the president’s cabinet secretaries, including Defense Secretary Jim Mattis, Secretary of State Mike Pompeo, Treasury Secretary Steve Mnuchin and the chairman of the Joint Chiefs of Staff. The first lady’s plane landed safely back at Andrews with no reported injuries, the Air Force said. Trump was able to continue on her trip to Philadelphia about 90 minutes later. “As a precaution the flight crew returned the aircraft to Joint Base Andrews where the First Lady and passengers were transferred to a C-40 to continue the mission,” the Air Force said.